First of all, welcome to the new site which is now hosted on WordPress with its own shiny domain name. Tumblr is a great platform, but when I decided I wanted to do more than share media, it was just a little too limiting. To kick things off, I’m doing a series this week on Japanese cars that are not exported to the states. We all know there’s a huge variety of great cars that we never get, so let’s take a look at some of them. The first installment is the Toyota Spade. This one might not qualify as “cool” to most people, but I think it’s a great concept for a versatile people and cargo mover. 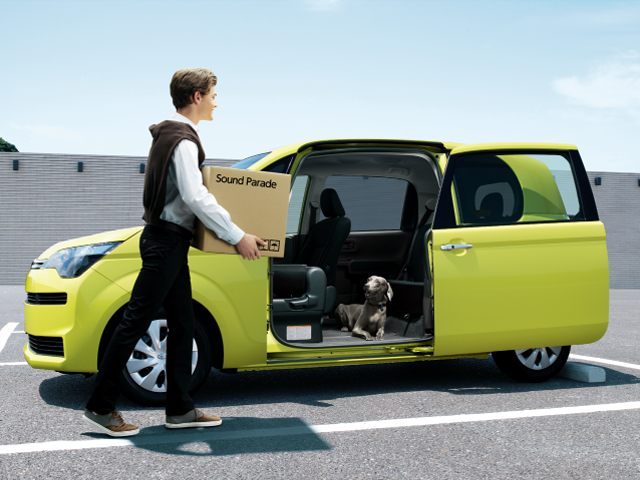 The most unique feature is the sliding passenger side door, giving the owner plenty of room for whatever gear needs to go. The front passenger seat is also on a track, letting it slide way forward to make more room. Beyond that, it’s a pretty typical compact which is on the same platform as the Yaris and comes with either a 1.3L or 1.5L engine. You can bring this sweet ride home for 1,750,000 Yen, or around $15,000USD. For only $1000 more, you can also get this in 4WD. Say what you like about this, but if you have a need for this type of vehicle, it’s far more stylish than most mini vans, and vastly more economical than an SUV. I think it looks pretty sharp, even if it does only come with a CVT.